A University of Nebraska-Lincoln brain study shows liberal voters may penalize Democratic candidates with conservative views. Political partisans would like you to believe voters’ heads will explode if faced with candidates crossing party lines on key policies – a Democrat who opposes abortion, say, or a Republican who supports gun control. The study used a powerful functional Magnetic Resonance Imaging machine at the university’s Center for Brain, Biology and Behavior to observe what happens inside the brain when people are faced with “incongruent” policy positions from their party’s candidates. The researchers used the scanner to see if certain areas of the brain activate when people evaluate candidates’ stances on a range of issues. “We found that liberal and conservative participants processed the information differently and that liberals were more likely to penalize candidates who expressed incongruent positions,” said lead researcher Ingrid Haas, a political psychologist at Nebraska. 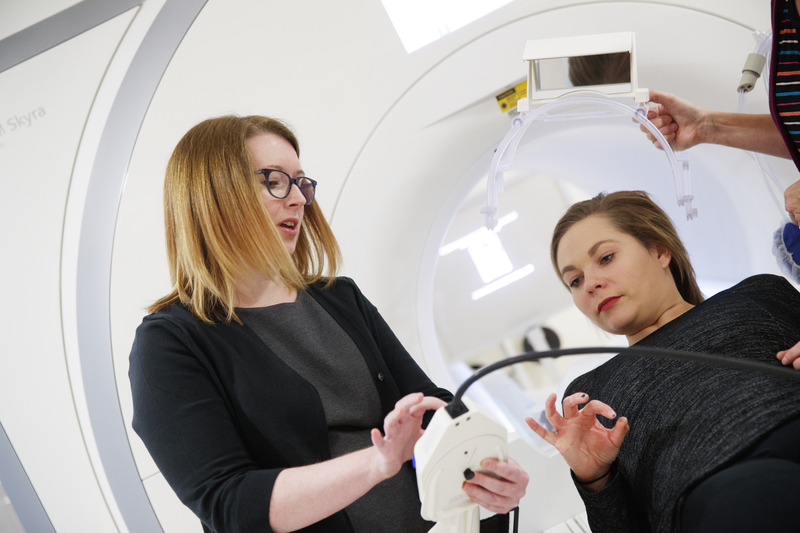 Ingrid Haas, assistant professor of psychology at Nebraska, explains the finger pad to graduate student Samantha Lauf so she can answer questions during her MRI. At the upper right is the mirror Lauf will use while inside the MRI tube to see the computer screen at the back of the tube outside the MRI. 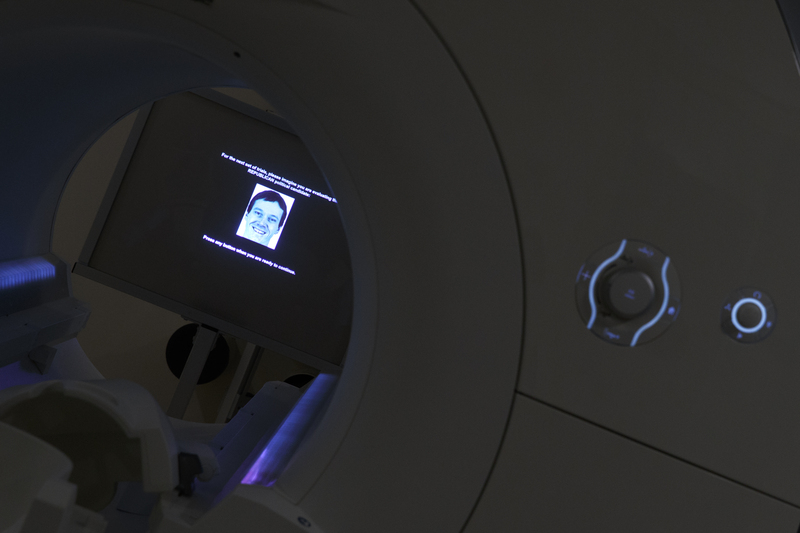 Haas is using MRI technology at the Center for Brain, Biology and Behavior to study political perceptions. That may mean Democratic candidates with conservative leanings may have a trickier time in today’s political climate than Republican candidates with a liberal bent, Haas said. Despite conservatives’ reputation for being less tolerant of ambiguity, the findings suggest liberals are more likely to scrutinize inconsistency, Haas said. “If less scrutiny is applied to Republicans for policy deviations, it may indicate that specific liberal causes and policies have some electoral viability among Republican candidates,” Haas and co-authors wrote in the study. There are other possible explanations for the differences in conservative and liberal reactions: Perhaps the GOP has become so fractured on issues like health insurance, social issues and foreign policy, the researchers suggested, that voters don’t always recognize when a candidate has left the ideological fold. Haas’ research team included Melissa Baker, a former Nebraska student and now a graduate student at the University of California at Merced; and Frank Gonzalez, a former Nebraska graduate student who is an assistant professor at the University of Arizona. 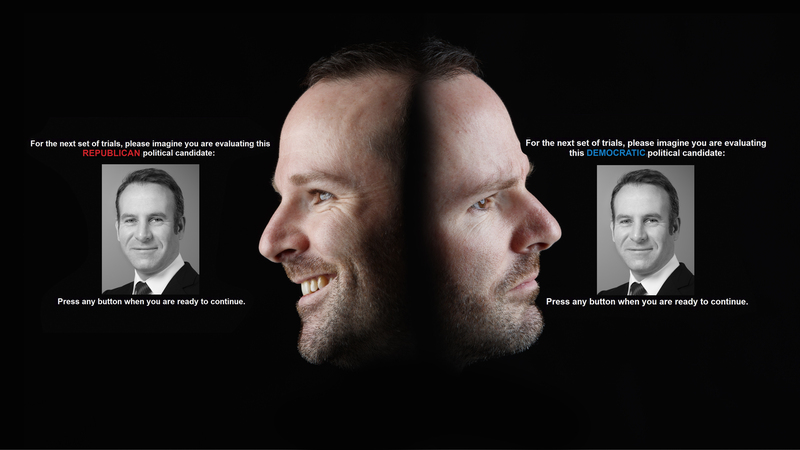 Random photos are used to judge responses to possible political candidates while subjects are scanned by the MRI. Ingrid Haas is using an MRI at the Center for Brain, Biology and Behavior to study political perceptions. NOTE: Image is flipped so screen is readable. The subject uses a mirror box to view the screen while inside the scanner. The Center for Brain, Biology and Behavior, or CB3, is an interdisciplinary center at Nebraska that brings together faculty in the social, biological and behavioral sciences and engineering. The center’s state-of-the-art facilities and multidisciplinary environment expands understanding of brain function and its effects on human behavior. The center’s unique capabilities and partnership with Nebraska Athletics deepen the university’s research capacity, including its leading expertise in concussion research. About one-third of the time, the hypothetical candidates held positions that conflicted with their party’s. Participants pressed a button to indicate whether they felt “good” or “bad” about the candidate based on the policy stance. Researchers found that the areas of the brain used to monitor conflict and evaluate information were more active on incongruent trials for liberal participants compared to conservative participants, especially when they evaluated “in-group,” or same-party, candidates. “These findings may be concerning to those who see political polarization as a problem as well as to those who desire meaningful social change as they demonstrate the psychological process that help to hinder the likelihood of political compromise, which is necessary for translating desired policy into implemented policy given the divided nature of government in the United States,” the authors concluded. The study was published online in the journal Social Justice Research. 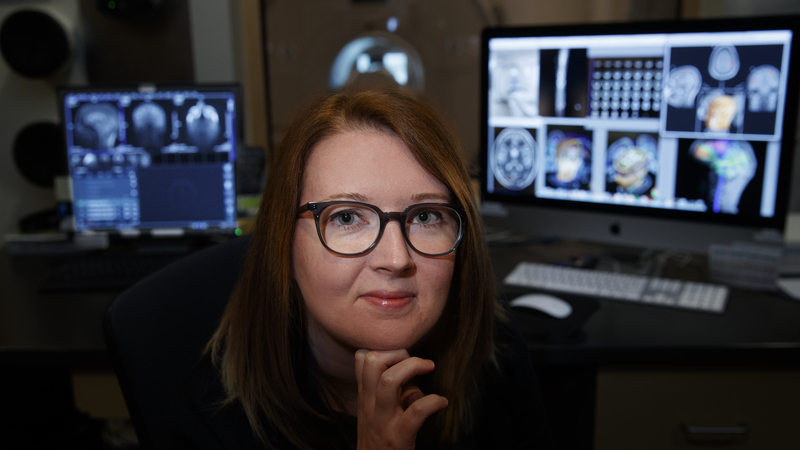 Ingrid Haas s using MRI technology at Nebraska's Center for Brain, Biology and Behavior, to understand political perceptions.